I have a tale to tell of epic Orwellian proportions. For the last several years, I have been on a mission to preserve, protect, and maintain, the last of our Alberta wild horses living on Public Lands. Along the way I’ve met, and had dealings with, many others who also claim to be on the same mission. Sadly, as usually happens over time, many good, caring people became casualties, and walked away. Most of the remaining few left, seem to have forgotten what they were initially fighting for, and appear to have changed their stance, and actually joined the opposing side. The Alberta Government, Environment and Parks (AE&P), has, for the last few decades, allowed the systematic reduction in population of our Alberta wild horses, in favor of commercial entities. 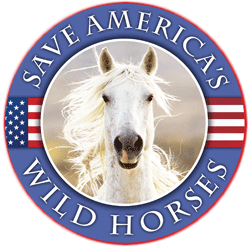 To accomplish this population destruction, Capture Permits were issued to a select few people, who then set out capture pens, baited with hay and salt, and once captured; the wild horses were, in many cases, shipped to slaughter. Thousands of our wild horses paid with their lives, so cattle ranchers could graze their cattle, forestry companies could clear cut timber, and hunters could shoot and trap other wildlife, etc. Our wild horses, being in the way of this commercial activity, were simply removed. AE&P have Statutes and Regulations in place, that require the Government to follow specific steps and meet specific requirements when issuing Capture Permits for the wild horses. The Minister of AE&P must first form an Opinion that in order to preserve and protect the rangeland, it is necessary to remove the wild horses. In coming to such an extraordinary Opinion, presumably the Minister relies on good, solid evidence that removing some wild horses from particular Public Lands is a necessary step in protecting certain rangeland, but we have never seen that evidence, let alone the Opinion. After the Minister forms the Opinion, the duties of issuing Capture Permits for specifically designated lands, can then be delegated by the Minister, to others within the Government. Trying to discover why killing all those wild horses was considered necessary, has been a very long, tedious, and frustrating process. I started down that long, winding road in 2014, by initiating contact with AE&P. I also met, and spoke with, other groups and individuals claiming to want to preserve and protect the wild horses. These contacts were to see if others were sincere about protecting the wild horses, and to stop their unnecessary slaughter. It wasn’t long before egos began to surface, and the downward spiral began. In 2016, one of us from Team Wildies, my nickname for the informal group, hired legal counsel to begin the process of uncovering the truth. Specific documentation was targeted, but requests for general information were also made, just to see how those requests were handled. Also, specific requests were sent to AE&P and the Justice Department. The responses were very interesting. The initial requests for information through the Freedom of Information process were returned by both Departments, claiming no documents were found. 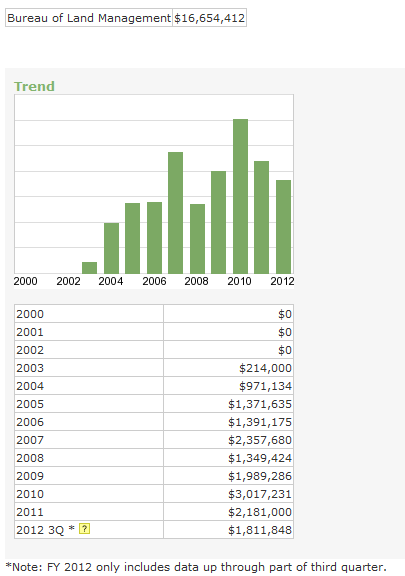 Those requests asked for specific documentation dating back to 2008. The Justice Department even went so far as to return the $25 fee, in an apparent attempt to avoid having to respond. Of course, this attempt to avoid responding was rejected. Consequently, the Justice Department admitted they had 31 documents, but claimed they did not have to produce them because of “legal privilege”. As a result, the Privacy Commissioner was asked to make a ruling on this claim of “legal privilege”. The Privacy Commissioner decided that not every single aspect of the 31 documents could be claimed as privileged, and that those parts of the documents that did not meet that criteria, must be produced. The Justice Department refused to comply. The Privacy Commissioner’s decision on this is expected within the next few weeks. The information requests bounced back and forth between FOIP, AE&P, Justice Department, and Forestry. At one point, AE&P said Forestry had the documents, and said that if Forestry received a formal request for them (FOIP request), Forestry would send them. An FOIP request was then made to Forestry, and its response was, that it had no such documents. As a further attempt to get to the bottom of the matter, legal counsel was instructed to begin a conversation with the Minister’s Department, in the hopes that, through that means, AE&P would be more forthcoming. All the general questions were answered, but very specific questions about the Minister’s Opinion, were not answered. A person could die of old age waiting to receive information from AE&P, but in the face of the Government’s refusal to provide any Opinion, it was apparent to us that the Minister and AE&P were not following the Statutes and Regulations, so we began legal action. It seems to me, that the natural starting point in getting to the bottom of why AE&P was issuing capture permits, would be to pointedly ask AE&P to produce the Opinion that it had, in determining it was NECESSARY to take such drastic action. To pursue this long drawn out investigation further, Team Wildies formed the Alberta’s Free Roaming Horses Society, and we started an Alberta Court of Queen’s Bench action. The documents that we filed in that Alberta Court of Queen’s Bench action allege that AE&P, despite being given ample opportunity to produce it, does not have any Opinion from the Minister, that issuing Capture Permits was NECESSARY. More details of the long drawn out exchange with AE&P, are set out in the Affidavit filed in support of the Court proceeding. (See Court Documents Tab). What then, are we to make of this? Over the past 4 years, I have repeatedly copied, printed, posted, passed along, talked about, explained, and written about what AE&P can, and cannot do, according to the Statutes and Regulations they are bound by. We all suspected that the Statutes and Regulations are being ignored, but just suspecting, is not enough. You have to have proof, and I’m sure AE&P rely heavily on that fact, and especially on how long it takes, and what it costs, to obtain that information. Again, read the Affidavit filed in the Court proceedings. I have also, over the past 4 years, repeatedly copied, printed, posted, passed along, talked about, explained and written that anyone allowing AE&P to sidestep their Statutes and Regulations, by volunteering to help remove/reduce the numbers of our wild horses MUST STOP. The Statutes do offer, and were designed to provide, protection. In order to remove wild horses, there has to be something (people, horses or rangeland), that needs protection. It would be impossible to show that ONLY horses caused damage to the rangeland, considering that cattle outnumber the horses 10/1. I’m sure all the heavy equipment used to clear cut must cause damage, yet there is no talk of stopping that. Off road vehicles have already been banned in at least one area of Public Lands, due to the damage caused, but no talk of stopping it in any of the Equine Zones. These are just a few of the issues involved in this complicated matter. For the record, I am not opposed to commercial entities on Public Lands. I am opposed to their mistaken belief, facilitated by the Government, that they have priority. There’s more. The groups and individuals that have bought into AE&P’s myth that the wild horses are over populated, and are causing damage, and so must be reduced/removed through the use of PZP, are doing AE&P a favor by allowing the Government to sidestep all responsibility they have to the wild horses, and the legal obligation the Government has to follow its’ own Statutes and Regulations. PZP is a very dangerous drug, with far reaching animal welfare issues, and in my opinion, has no place in wildlife population control. (2) There are other, very dangerous consequences of using this drug on our wild horses, but that is another iron in the fire, to be used at a later time. AE&P have been spewing their propaganda of over population and damaged rangeland, for so long, and so consistently, it is now being facilitated by groups pushing PZP. The myth, that it is better to reduce the herds through unnatural means, as unborn foals do not ship to slaughter. An unnatural life for the herds with almost no foals, constant fighting with the stallions for breeding rights, constant breeding of mares, who cycle endlessly, loss of family groups, loss of genetic diversity, entirely exploiting the wild horses’ right to live their lives as nature intended, because it is more cruel to ship foals to slaughter. Except, in AE&P’s view, there appears to be nothing stopping AE&P from removing large numbers of wild horses, despite the unnatural use of PZP. PZP has never stopped Governments from slaughtering wild horses. NEVER! There are roundups of U.S. wild horses, legal and illegal, occurring at this very moment. I see this all the time with horse rescue groups. A kill buyer puts out that he is going to send pregnant mares and young foals to slaughter TODAY, if someone doesn’t rescue them. The price is 5 times what he paid for them. Everyone runs around collecting money, and low and behold, the mares and foals are SAVED. While you may have saved 10, you lined the kill buyer’s pockets with enough money to buy 100, and all of them will ship. Here’s another consequence of using PZP. The wild horses have evolved to cycle early in spring, so their foals are on the ground when there is good nutrition. The mares breed again, and everything settles down so the herds can put on weight before winter. The new reality is, all that changes with the unnatural use of PZP, as the fighting and breeding doesn’t stop, and the entire herd goes into winter thin, malnourished and exhausted. The foals will be the first to go, but at least they won’t ship to slaughter, which is much more humane, right? Let me be absolutely clear about this. I do not support horse slaughter. I also do not support using PZP on any wild animal. How did everyone come to believe that it has to be one, or the other? There are far more options available for the wild horses. Why would the Alberta Government work with groups to dart the wild horses with PZP? Why bother with PZP, if you can issue Capture Permits? Is it because the Statutes are intended to preserve the wild horse populations, and the wild horses can only be removed, if necessary? If the Government is unable to prove it is necessary, and no Capture Permits can legally be issued, the only other way to reduce/remove the wild horse population, is through the unnatural use of PZP. Why are these groups assisting the Alberta Government to reduce/remove our wild horses, without insisting the Government provide them with proof it is necessary? At what point in time, did these groups decide our wild horses are undeserving of a natural life, and can only exist, if darted with PZP? What happened to the common goal of keeping our horses wild, free and protected? I will post all Court Documents as they become available. 2. Is Wildlife Fertility Control Always Humane? Its obvious (probably has been) that the same push being made HERE to eradicate our wild horses & burros has been underway in Canada right along. The story that ONLY the wild horses (& burros) are responsible alone for any damage or destruction to rangelands? How in the world is that believable? You dont have to grow up on a farm to have the intelligence to KNOW that too many cattle, too many sheep, a mine with all its waste products, logging with the machinery needed to haul logs out, drillng rigs that cover ACRES, development that paves over wetlands, trappers that slaughter wild animals, absolute destruction of wildlife habitat ALL combine to cause this damage! These “conservation” organizations that only focus upon one or another destructive influence but refuse to acknowledge – for instance, livestock grazing & the damage done to our air, water & range? What exactly are they conserving? Thank you for your dedication to save what is left of Canada’s wild horses. What a daunting task, to say the least and I wish for you continued courage. It’s amazing to hear of the parallel issues that Canada has with the United States wild horses and burros. A lot of it boils down to fraud, corruption, the lack of transparency, the spewing of their propaganda of over population and damaged rangeland by wild horses when as everyone knows is 99% caused by domestic non-native privately/corporately owned livestock and especially the fact that the agencies put in place to protect these wild equine are the main cause for the capture, suffering and torturous deaths of these animals. Yes, parallel issues, almost to a “T”. Thank you for your encouragement and good wishes. I will keep our friends south of the border updated with the lawsuit. Keep up the good fight horse warrirors! Alberta has the same problem we have in the U.S. — corporate greed and exploitation of land while blaming all ills on wild horses who are not over populated as they want us to believe. Equines are good for our grasses, good for our economy with all who want to see them coming far distances. They are beautiful in their own right as nature selects them not humans. Its a furious cycle in both the US, Canada and other places around the globe. The fight for our horses and Burros has been endless it seems. A question came up from Senator Sasse to Brett Kavanaugh regarding the selling of public lands with out the input of the surrounding communities. He seemed to brush it off not spending much time on an answer. That gave me an insight to how he would should anything be referred to the Supreme Court!. However, we must keep pushing on for the Wild horses , Burros and other equines! Its disgusting that some humans have no compassion what’s so ever! Pass HR 113/American Safe Food, Safe Horse Export Act! This November and on into 2020, everyone MUST go to the polls and VOTE! And vote in those supporting our equines-Ask the question. If they don’t support them DO NOT vote them in! Period..end of story! HR 113 has 218 co-sponsors with Conor Lamb just signing on, but it still shows only 217 cosponsors; so that must be fixed. I believe this bill can go to the House floor for a vote and onto the Senate that can’t seem to get past 29 co-sponsors on S1706. Ben Sasse has not signed onto this Senate Bill https://www.congress.gov/bill/115th-congress/senate-bill/1706/cosponsors. There’s a lot of tweeting, calling to do. I agree, Judge Kavanaugh mostly supports corporations and their profits, not the public or our public lands and wildlife.